Are you looking for a dentist that will replace damaged teeth? Do you want a whiter smile? Do you need dental restorations? 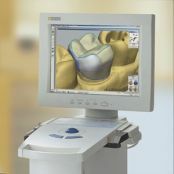 Dental Associates of Marlborough now offers CEREC, the cutting edge dental technology that helps patients achieve the smile of their dreams. On this page you will find a wide variety of information on this dental technique that will help you decide if this treatment option best suits your needs.